It wouldn't be Halloween without them, but a surge in the number of fireworks being set off has prompted a plea from a Cowichan Valley farm owner. 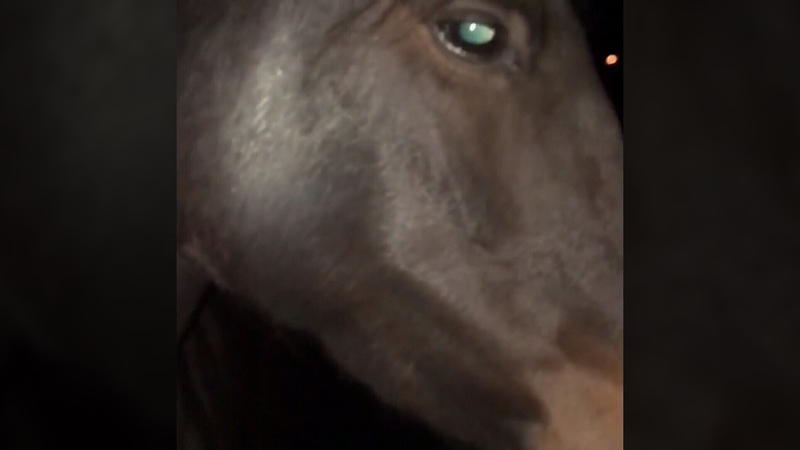 Shannon Boisvert shared video of her four-year-old horse Coco visibly alarmed after fireworks were set off near her farm over the weekend. She said fireworks have been going off with greater frequency in the lead-up to Halloween and that Saturday night was particularly bad, with screecher fireworks going off just metres from her property. "If I know that they're going to happen at night I make sure that the horses are in, but it's just been day and night for three weeks," Boisvert said. "I'm exhausted, they're stressed and not eating. My little horse…she was considering going right through the fence." She said one of her horses even ended up straining a tendon after running in tight circles. "These are not small animals. They're over 1,000 pounds," she said. "Their only defence is to run. They just go into flight mode, and if a person is in the way, or a fence is in the way, they'll just run over or through it." No humans or animals were injured as a result of the ensuing panic, but Boisvert is asking people who buy fireworks to use them responsibly. CVRD bylaws allow the sale and use of fireworks around Halloween with necessary permits, but stipulate that they cannot be set off within 500 metres of livestock. That hasn't always been the case this October, Boisvert said. "They're not even 200 metres," she said. "If they're in the distance it's not as scary." Fines for anyone who breaks the bylaw can face a $250 fine from bylaw enforcement. Rob Conway, Manager of Inspections and Enforcements for the CVRD, said calls for fireworks violations always peak around Halloween. "Definitely, that's the busiest time of the year for fireworks. This year we're hearing a little bit more than we have in the past," he said. He said officers generally issue a warning at first to anyone breaking the rules before escalating to a fine. He also called on fireworks users to be courteous to neighbours by giving them a heads up – something Boisvert echoed. "I think most people just don't understand," she said. "Just respect those rules otherwise people are going to be hurt, and animals are going to be injured."